The city is a global leader in the hospitality industry and is home to more AAA Five-Diamond hotels than any other city in the world, including landmark hotels such as the Caesars Palace, MGM Grand, Bellagio, and Mirage hotels. 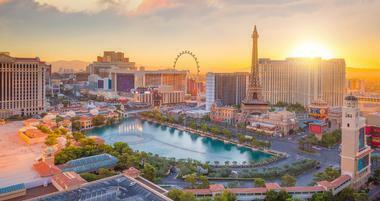 Spring from March to May and fall between September and November are the best times to visit Las Vegas. 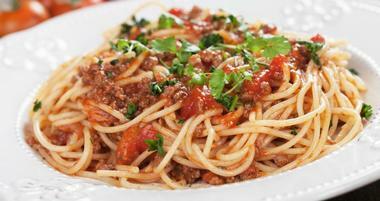 Elevating Italian food to an art form, Las Vegas is home to some of the best Italian restaurants this side of Rome. Regardless of whether you are looking for holiday glitz and glamour or yearn for solitude in the middle of the desert, you will find what you are looking for in Nevada. 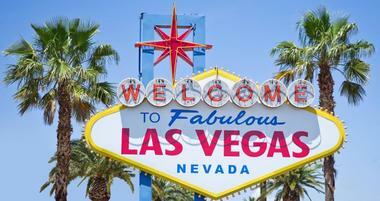 There’s no denying that Las Vegas is the entertainment capital of the world. 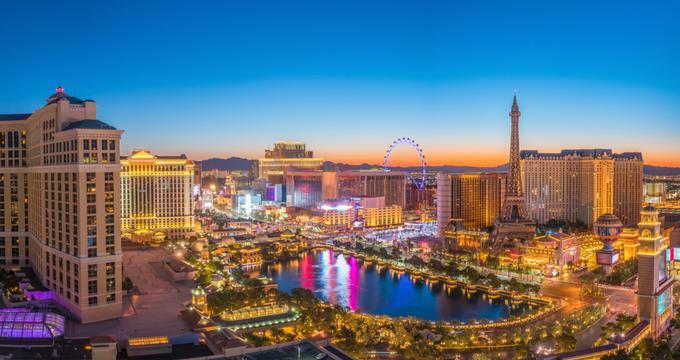 After all, when it comes enjoying the best that the United States has to offer in terms of shows, games, and nightlife, there are few other cities that can truly compare to the extravagance that Vegas has in spades. Most people come to Las Vegas for the glitz, the glamour, and the casinos rather than for the food, but that doesn't mean the city doesn't have a fantastic culinary scene. 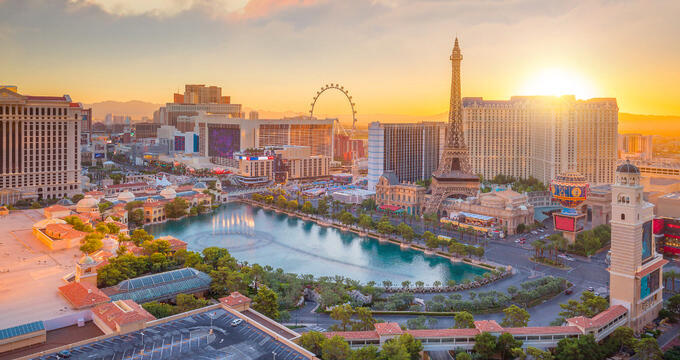 Las Vegas, or otherwise known as Sin City or the City of Lights, is a resort city famed for its vibrant nightlife and offers a wealth of spots to go to celebrate new and old love. Caesars Palace changed the face of Las Vegas shopping when the hotel and casino opened the area’s first destination mall in 1992. Though the city has long been associated with opulence and glamour, options abound for experiencing Vegas on a budget, with most hotels and casinos offering free-admission gardens, performances, and interactive visitor experiences throughout the day and night. 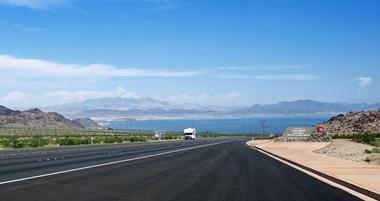 As there's so much to do in Las Vegas, a good way to save money on your Vegas trip is to travel out in an RV. The Replica of the Eiffel Tower: At night, the exterior of Paris is lit with thousands of tiny lights which give it a golden glow against the night sky. The replica of the Eiffel Tower is hard to miss since it towers 540 feet above the Strip. The Observation Deck is open daily from 10am to 1am, weather permitting (there is an admission fee). The Arc de Triomphe can be seen from the Strip, as can the replica of the Hotel de Ville houses the hotel's guest rooms. Some of the best views of these landmarks can be enjoyed from the Bellagio fountains across the Strip, especially at night. Replica of Venice: If you like Venice, Italy, you'll enjoy seeing replicas of Venetian landmarks at the Venetian Hotel. This all-suite hotel features the Canyon Ranch SpaClub where you can work out, get a massage and have a healthy lunch at the cafe. Ask for one of the suites on a high floor for best views. Romantic Dinner at Sensi: Sensi at the Bellagio has been built around four open kitchens, which allows dinners to watch their food as it is created. Executive Chef Martin Heierling has created a menu based on a myriad number of destinations. Chef Heierling has chosen to emphasize wines from the southern hemisphere, particularly Australia and New Zealand. The wine list also includes some of the finest wines from Tuscany and Piedmont in Italy, Germany, Austria, Burgundy, and California’s finest selections. Sensi also has two chef's tables situated on either side of the kitchen. Both of the tables were hand-chiseled and carved by monks, one from stone and the other from wood. The intimate setting created by the natural wood and stone surroundings ensure that you will have a memorable dinning experience. Napoleon's Champagne Bar: Napoleon's Champagne Bar, located on the Las Vegas Strip at Paris Las Vegas, attracts champagne connoisseurs and novices alike. The bar boasts a selection of more than 100 champagnes and sparkling wines by the bottle and by the glass. Champagne choices range from the popular Veuve Clicquot Yellow Label to several older vintages of Moet and Chandon's Dom Perignon. The bar also offers a selection of single malt scotches, cognacs and still wines. Or you can try one of the unique champagne cocktails and specialty martinis made only at Napoleon's Champagne Bar. A light menu of fine appetizers and hors d'oeuvres includes pan-seared foie gras, lobster, caviar and truffles. The Champagne Bar at Napoleon's is open from 6pm to 2amd Sunday through Thursday; and 6pm to 3am Friday and Saturday. Food selections are available nightly from 6pm to 1am. Happy Hour is offered at Napoleon's from 4pm to 7pm daily. With the purchase of a beverage, patrons receive a complimentary sandwich. Jimmy Buffett's Margaritaville Restaurant: Jimmy Buffett's Margaritaville is a tropical-themed restaurant located at the Flamingo. The restaurant overlooks the Strip and offers live entertainment nightly. Guests enjoy a festival-like atmosphere at the restaurant. There are the stiltwalkers who create Parrothead balloon hats for guests while they wait for their food. The eatery is open from 11am to 2am Sunday-Thursday; and from 11am to 2:30am Friday and Saturday. Four Queens Casino: Located downtown, the Four Queens Hotel has a casino, 690 rooms and 24-hour restaurants. Visitors can enjoy the Fremont Street just outside the hotel. The casino offers single deck blackjack, roulette, craps with 10x odds, Three Card Poker, Pai Gow Poker, Caribbean Stud, video poker, and Let-it-Ride. If you want to earn cash back, compliments and/or discounts, join the Royal Players Club at the casino. Membership is free. here are 690 rooms and Jacuzzi-suites in its 19-story towers. There are two restaurants, a lounge and casino bars. Room service is available from 5am to 12am. Vegas vacation: M& M's World: M&M's World is a 26,000 square foot four-story entertainment complex featuring an Ethel M Chocolates gourmet chocolate store, sale of unique logo merchandise and a cafe. M&M brand items available for purchase include apparel, home decor and Chocolate Candies. There are more than 3,000 different items for sale. 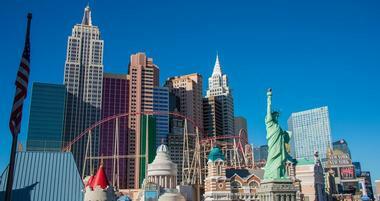 The attraction is located next to the MGM Grand and across the street from New York-New York. The store is open from 9am - 11pm Sunday-Thursday; and from 9am - 12am Friday-Saturday (mmsworld.com). Las Vegas is an easy city to visit. There are many different transportation options, easy parking and walkways. If you were to walk down the length of the Strip, it would take around three hours at a fast pace (from the Stratosphere to Mandalay Bay). In some areas, especially in the middle of the Strip, walkers cannot simply follow the road, but are lead over bridges and walkways so you end up traveling a longer distance on foot than you would in a car. Save money by knowing where to go for free entertainment. Watch the Fountains of Bellagio and then head north toward the Mirage volcano and the Sirens of TI, a free show at Treasure Island (about a 15-minute walk). See a free circus performance at Circus Circus and visit the lions on the casino floor at the MGM Grand. 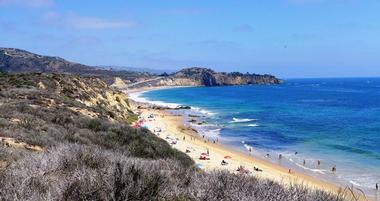 Spend your savings on luxuries like massages, dining at a famous restaurant and golf. Getting From the Airport to the Hotel: Taxis are available at the airport, but if you are arriving in the afternoon you may have to wait in line with other visitors. Cab fare from the airport to a hotel on the Strip is about $15. If you are going Downtown, cab fare is about $25. Alternatively, you can rent a car at the airport. 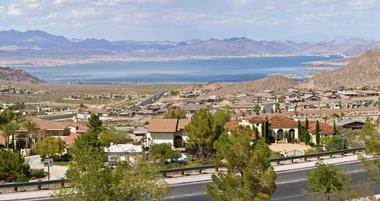 Having a car is convenient because hotels and casinos are quite spread out. Traffic is heavy at night, but hotels offer free valet parking so at least you won't be circling around the block looking for parking on the street. Vegas vacation:Driving and Walking Distances: Hotels are located along the Las Vegas Boulevard, a few blocks off the main road, or downtown. If there is no traffic, you can drive from the Stratosphere on the northern end to Mandalay Bay in the south in 15 minutes. During rush hour, the trip may take 45 minutes or more. There are many bridges, walkways and other detours along the way. In hot summer weather, walking is not practical. At night, the sidewalk are filled with people walking up and down the Boulevard to view the attractions. Here are some examples of walking times: From the Venetian to the Bellagio: 20 minutes; From the Venetian to the Stratosphere: about one and a half hours; From the Venetian to MGM Grand Hotel: around one hour. Public transportation is available in the form of monorail lines, bus and trolley service. If you want to see the whole length of the Boulevard as well as Downtown, take the Bus 301. This is a desert city, so you'll need a lot of water. It seems that every business here is trying to take advantage of that. Hotels and casinos have their own branded bottled water which overpriced. Avoid paying such prices by knowing where to find a local drugstore. There are two places: a drugstore across the street from the Sturdust hotel on the northern end and a drugstore near the MGM Grand. 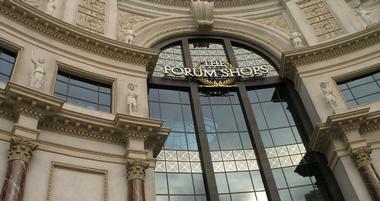 If you are downtown, there is a drugstore near the entrance to the Fremont Street Experience. Don't leave your home without a good pair of sunglasses. The sun is very strong in Nevada and you'll need a good pair if you plan to do any sightseeing. The Monorail: Excalibur, Mandalay Bay and Luxor hotels are connected with a monorail. The train travels down the Strip. The train operates 24 hours per day. In come frequently, about every 5 to 10 minutes. Each ride takes about 5 minutes and is free. In addition to saving you a lot of time walking, during the ride you can see the pyramid replica, palm trees, statues and other attractions along the road. It will be a fun ride for kids - they may ask you to go up and down the road several times. Las Vegas Strip Bus Service: Citizens Area Transit (CAT) Bus 301 travels the length of the Strip and to Downtown Vegas. From the Stratosphere on the north end to Mandalay Bay in the south, the bus takes about 45 minutes. During the rush hour, travel times double. The bus stops around Paris Hotel and Bellagio take the longest because many people get on in that area. Tickets are sold when you board the bus. The cost is $2 for one ride and exact change is required. A one-day pass is available for $5. The bus comes every 10 minutes or so during the day. Weight: 562 tons or 1,124,000 pounds. Las Vegas is famous for doing everything in grand style and Chinese New Year celebrations are no exception. Head to the city for a fun selection of festivities on the famous Strip. You can watch live music performances, traditional dragon and lion dances and attend Chinese New Year-themed dinners. The Conservatory and Botanical Gardens at Bellagio features a prosperous money tree with oversized gold coins hanging from branches. Live music performances take place from 5 p.m. to 6 p.m. daily through March 3. If you can be there on February 12, you can watch the traditional lion and dragon dance at 6:30 p.m. 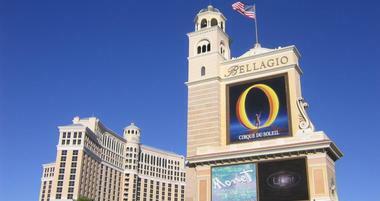 The Venetian will host a 98-foot long animated blue snake display from Jan. 14 through Feb. 25. Off the Strip, the Fremont Street Experience near the Golden Nugget will feature a series of Chinese, Vietnamese and Korean cultural celebrations. raditional dragon and lion dances will kick-off festivities and welcome The Year of the Snake at The Venetian and The Palazzo on Feb. 9 at 3:30 p.m. A dance troop from Cirque du Soleil's show Ka will parade through MGM Grand on Sunday, Feb. 10 at 5 p.m. Firecrackers will light the way as the dragon and lion dance starts on Feb. 12 at 6 p.m. at Wynn. A number of restaurants will prepare specialty menus and dishes for the holiday celebration including Monte Carlo's Dragon Noodle Co. & Sushi Bar, Fleur by Hubert Keller at Mandalay Bay, Rice & Company at Luxor Hotel and Casino, China Poblano by Jose Andres at The Cosmopolitan of Las Vegas, at Beijing Noodle No. 9 at Caesars Palace, MOzen Bistro at Mandarin Oriental Wing Lei at the Wynn, Ping Pong Pang and Noodle Exchange at Gold Coast Hotel and Casino, and many more. If you are planning a special trip, such as a honeymoon, Chinese New Year is a great time for finding some of the best parties in town.